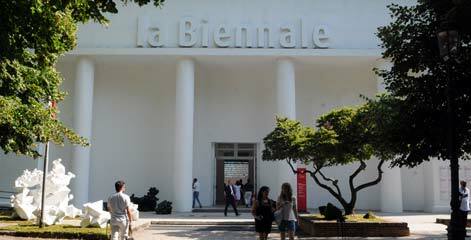 As May begins, the city of Venice is preparing for the the 56th edition of the Biennale, set to open doors to press this week. 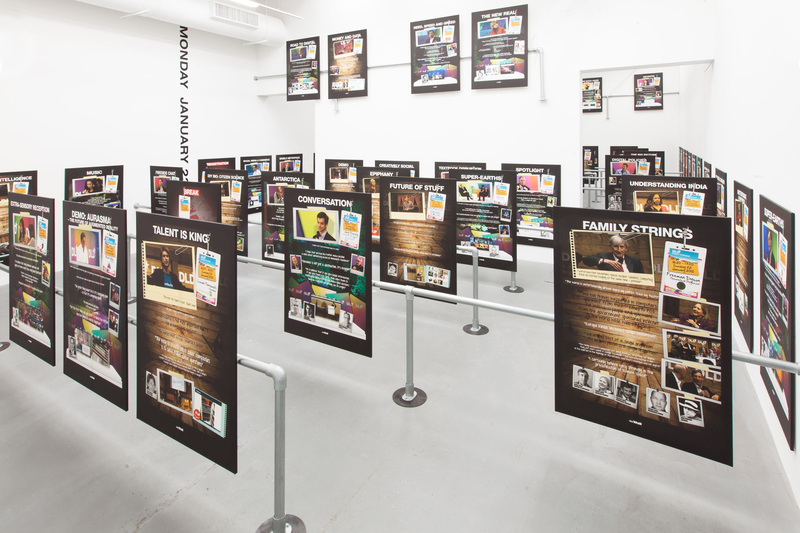 With the sheer scale of events, openings and exhibitions set to open this coming Wednesday through Saturday, the art world will turn its attention to the City of Bridges in earnest. The proceedings center on the Biennale’s main exhibition, All The World’s Futures. Curated by Okwui Enwezor, the exhibition takes what could best be called a proactive view towards the consolidated power of political and financial institutions, perhaps best emphasized by the marathon reading of Marx’s Das Kapital that will anchor the events of the Biennale in the exhibition’s newly designated public presentation sector, ARENA. Enwezor has already stated his intentions in Venice for a Biennale that targets its own history, its location, and its political imperatives as essential points in the consideration of its context, and the context of the artists included within it. Accordingly, Enwezor seems to have selected a group of participants for whom context and gesture are an inseparable pair. Of particular note is the inclusion of Tania Bruguera, whose recent arrest and subsequent surveillance following her performance of her work Tatlin’s Whisper in Havana has loomed large over the improved diplomatic relations between Cuba and the United States in past months. 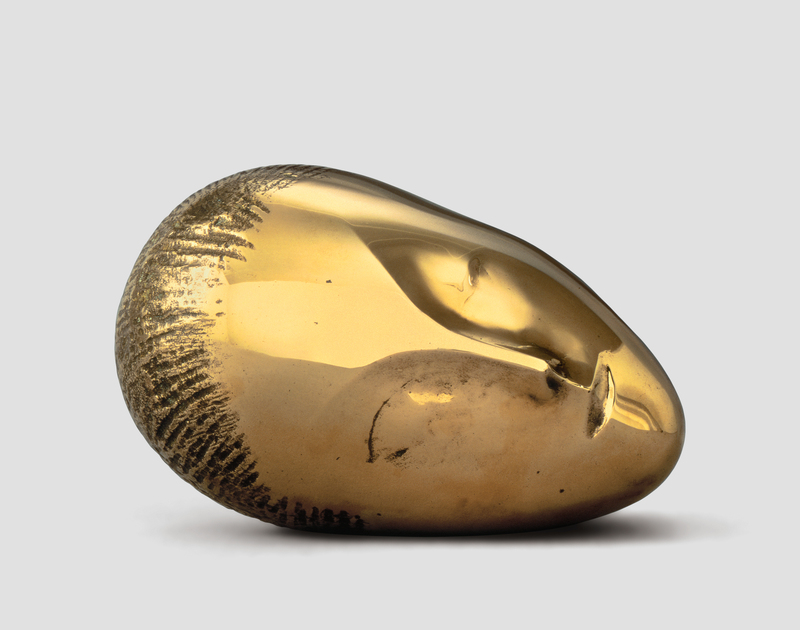 The Biennale will also host the late Italian artist Fabio Mauri, whose work delved deeply into the trauma of World War II, and specifically, the Holocaust. 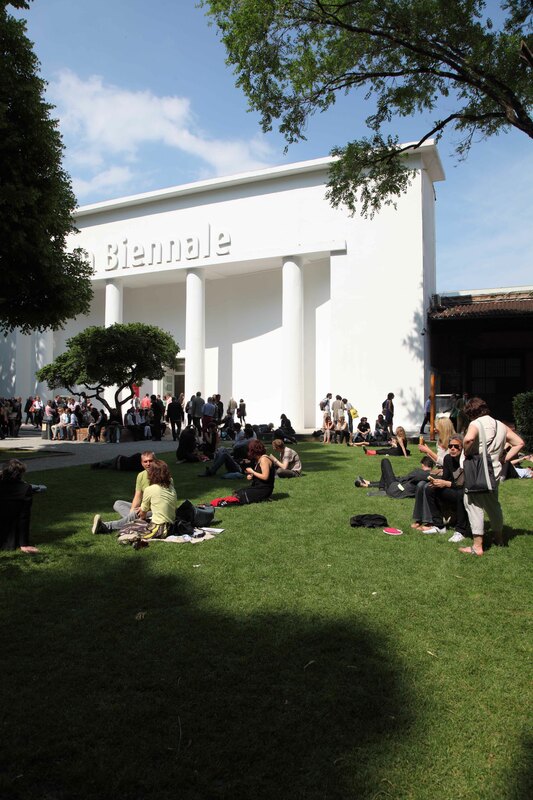 Jeremy Deller is returning to Venice, this year included in the main exhibition after 2013’s impressive British Pavilion. 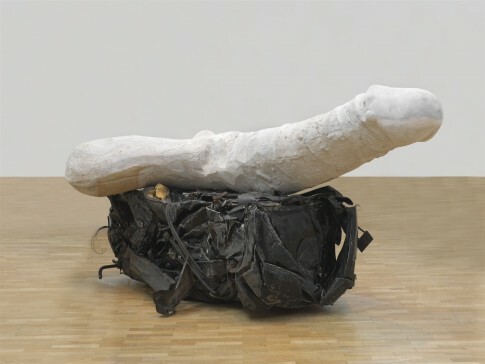 That honor will in turn go to Sarah Lucas, whose exhibition caps something of a late resurgence for the artist in recent years following major exhibitions at Secession in Vienna and Whitechapel in London. 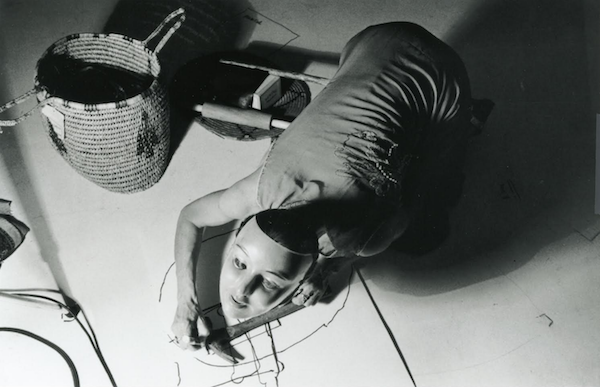 At the U.S. Pavilion, artist Joan Jonas will show a new video performance piece piece, They Come to Us without a Word II, as part of her exhibition, which will incorporate a number of recent works from the artist’s lengthy career. 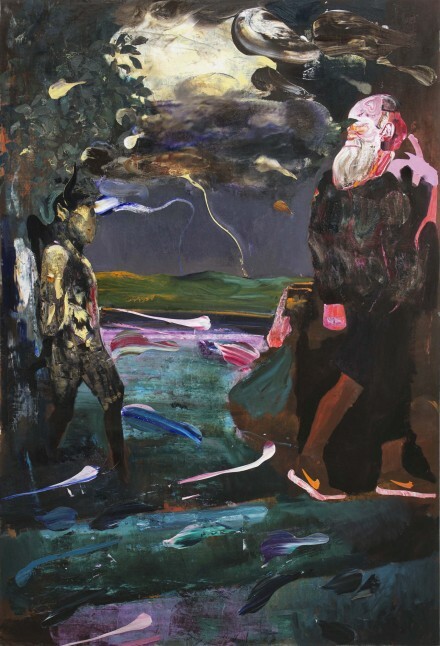 Another national pavilion highlight will likely be Romania’s exhibition of new work by Adrien Ghenie, titled Darwin’s Room. Exploring the biologist’s theories in relation with notions of self-preservation and personal agency, Ghenie’s work will surely continue his surrealistic blends of the historical and mythological. Another notable new pavilion will be the waterfront location for the Ukrainian Pavilion, which will show its solidarity with the current state of revolution in the country, curated by Björn Geldhof, Deputy Artistic Director of Pinchuk Art Centre in Kiev. Another special pavilion from northern Europe, run by the University of the Arts Helsinki, is the Research Pavilion, a special project committed to conducting art research and study during the course of the event, while generating findings and data on the event and related themes. 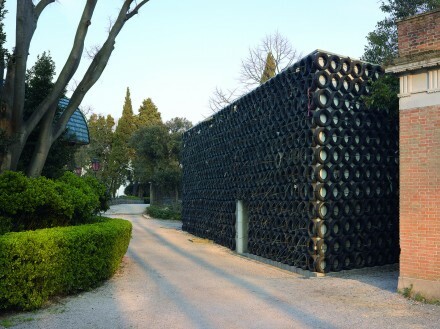 The Israeli Pavilion has also offered an advance look at its contents, a vast, seemingly impregnable wall of tires that conceals clusters of collected material used as barricades and forbidding walls. Created by Tsibi Geva, the work gives something of a sense of sorrow towards the sustained conflict with Palestine, creating a makeshift militarized space in Venice that feels all the more remorseful given its peaceful surroundings. In a similarly trans-national political gesture, Turkish artist Sarkis will create a pair of exhibitions for the Turkish and Armenian pavilions, commemorating the 100th anniversary of the brutal Armenian genocide during WWI. Germany will focus on a trio of artists working at a juncture implying the “metamorphosis of visual media, from pictures as classical recordings, to the generation, processing, and projection of images,” among them Hito Steyerl, Olaf Nicolai, and Tobias Zielony. Also of note is the newly constructed Australian Pavilion (the first new permanent space in the 21st century). Considering a show focused on political and transnational issues, the show has already seen an almost ironic set of controversies, the foremost being an allegedly false representation of Kenya at its national pavilion. The African nation withdrew its support of its pavilion after accusing its curators of falsely representing the country, and fleshing out much of its exhibition with artists from China. Another cancellation came late in March, when Costa Rica bowed out after curator Gregorio Rossi reportedly asked each artist participant for a $5,000 donation to fund the show. In more inclusionary move, German artist Christoph Büchel, representing Iceland, has dedicated the country’s pavilion to the Venice Muslim community, a group which has been legally restricted from building a public mosque in the city. Sidestepping this oppressive gesture, the artist has turned the pavilion into a mosque, providing space for the religion under the banner of art. 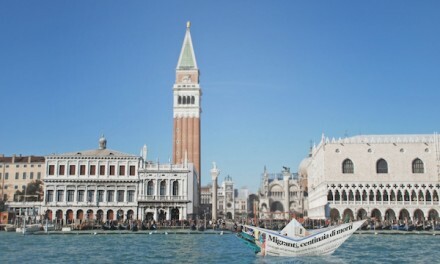 Public works will also remain a considerable emphasis in Venice over the coming weeks, perhaps most notably in artist Vik Muniz’s Lampedusa, a 45-foot long boat that appears to be made from newspaper, and bearing headlines recalling the tragic fates of deceased migrants dying at sea as they tried to escape Libya and Syria. 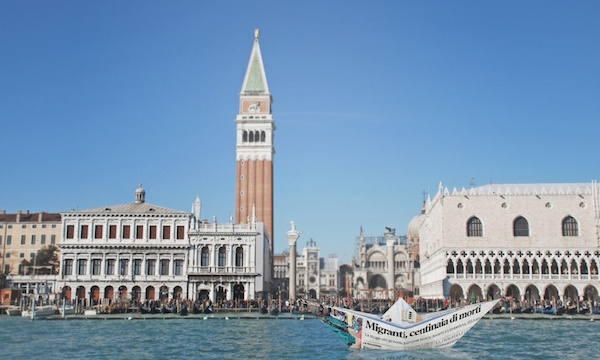 The work is particularly challenging to the Italian national conscience, as the titular boat that sunk in 2013 was intended to land inside the nation. A number of other major exhibitions will also open in Venice during the first days of the Biennale. 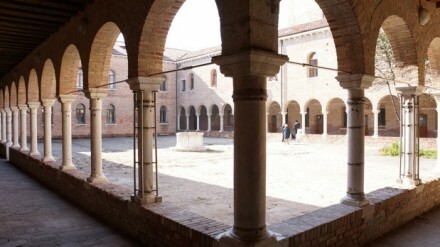 The Palazzetto Tito, former home of artists Ettore and Luigi Tito, will play host to a new exhibition of works by Peter Doig, while Ca’ Pesaro International Gallery of Modern Art will open an exhibition of works by Cy Twombly, an American artist who drew profound inspiration from the Italian landscapes. Zuecca Project Space, which hosted part of Ai Weiwei’s major exhibition two years ago in Venice, will return this year, bringing a group show from the collection of Walter Vanhaerents, who also curated the exhibition, and who has selected a diverse group of artists including Katharina Fritsch, Bruce Nauman, Ugo Rondinone, Cindy Sherman, Nick van Woert, Bill Viola and Andy Warhol, among others. 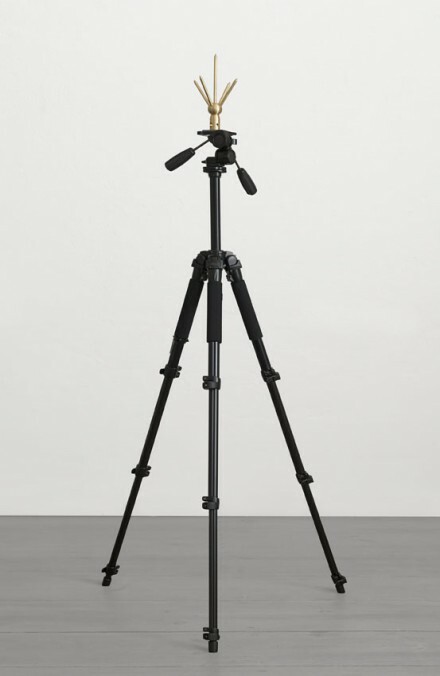 The space will also host a series of special events during the opening days of the Biennale, focusing on the work of experimental film legend Jonas Mekas as framed by artists currently adopting many of his techniques online. Beginning with an exhibition Palazzo Foscari Contarini, the events will also include a Skype-based performance by Amalia Ulman, and will be followed by an all-night event at the Spazio Ridotto May 7th. Fondazione Prada will also host an impressive exhibition, titled Portable Classic, exploring the use of small-scale works, maquettes and other models used to create various masterpieces on a larger scale. 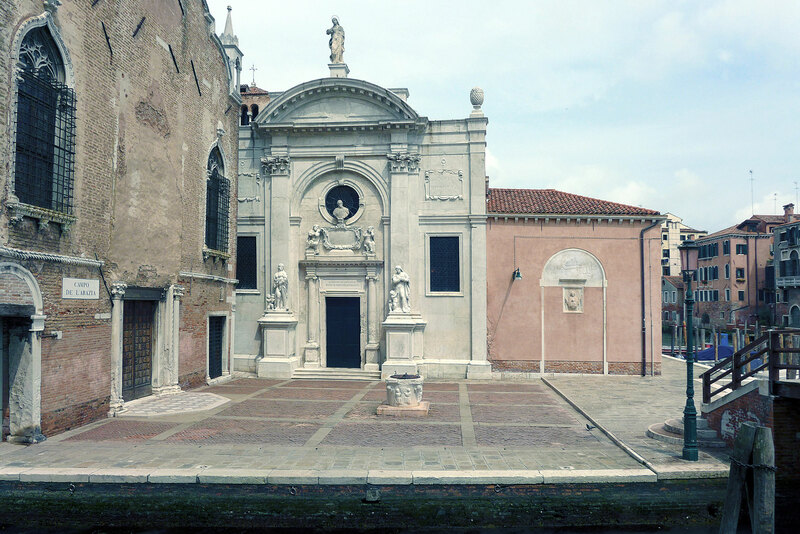 At Fondazione Giorgio Cini, a selection of photographs by Matthias Schaller will be on view, as will The Glass Tea House Mondrian, an architectural rendering by acclaimed photographer Hiroshi Sugimoto, which has been on view since last year. Also of note is the presence of Jackson Pollock’s masterpiece, Mural, which will go on view next week at the Peggy Guggenheim Museum. Other exhibitions include a show focusing on the presence and frequent artistic fascination with proportions, numerical sequences and ratios in art throughout history, tracing the Golden Mean and other artistic devices back through history from Ellsworth Kelly to the work of Sandro Botticelli, on view at the Palazzo Fortuny. 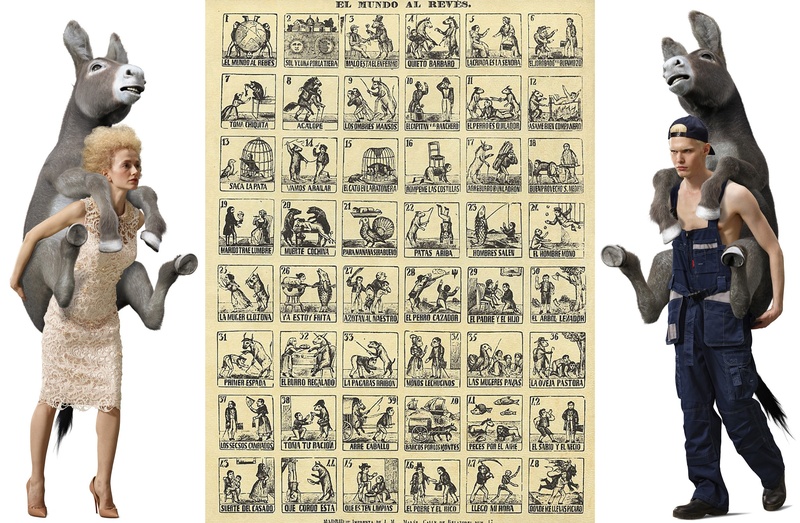 Another historical investigation, presented by AES+F Group, takes the classical, surreal engraving series Inverso Mundus (The World Upside Down), and bends it through a modern lens, featuring a number of surreal videos and sculptural works. 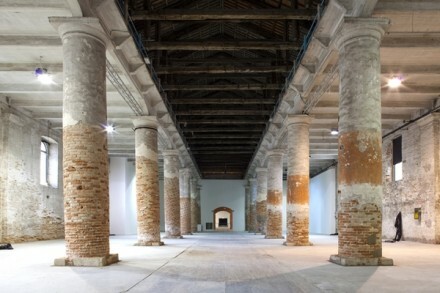 François Pinault, whose exhibitions at his hallowed Palazzo Grassi (which played home to 2013’s stunning Rudolf Stingel exhibition) and Punta Della Dogana have already opened, will also woo press attendees during the opening days of the Biennale. The Punta Della Dogana is hosting an ambitious group show by Danh Vo, and featuring works by Fischli & Weiss, Felix Gonzalez-Torres, Marcel Broodthaers, among others, and which has already earned praise from one Artforum critic as the “best artist-curated exhibition I’ve seen in years.” Vo will also be representing at the Denmark pavilion. 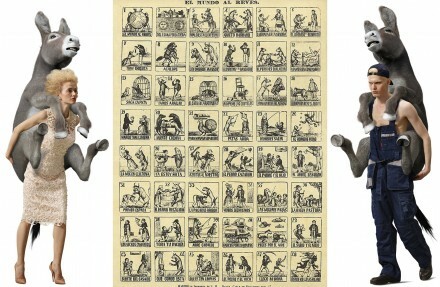 Over at Palazzo Grassi, Pinault has invited French master Martial Raysse to exhibit. Of course, the Biennale wouldn’t be complete without its share of parties, and a number of high-profile nightclub brands are looking to leave their impact on the event this year. British nightclub owner Mark Birley will bring his exclusive, members-only club Loulou’s to the Bauer hotel, while the legendary Hong Kong restaurant Duddell’s will open a special reservation-only pop-up at Palazzo Morosini from May 7th to the 10th. Another intriguing artist-driven event is The Venetian Blinds, a series of concerts featuring the rock and avant-garde musical projects of visual artists including Rodney Graham, Martin Creed, and Emily Sundblad. Dis Magazine will also give a typically witty event on May 9th, Change Your Flight, featuring one-track DJ sets and full-length sets by Physical Therapy and Cuss Group. 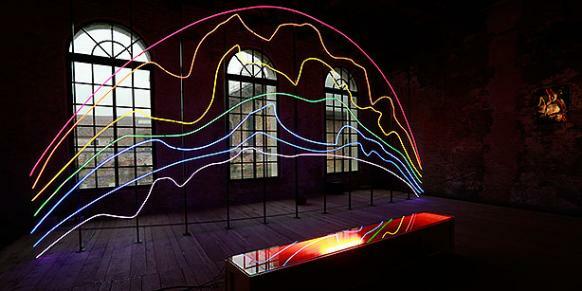 The Biennale’s seemingly endless stream of events kicks off on May 6th, and will remain open through the summer. This entry was posted on Sunday, May 3rd, 2015 at 4:47 pm	and is filed under Art News. You can follow any responses to this entry through the RSS 2.0 feed. You can leave a response, or trackback from your own site.